It sounds and looks good. 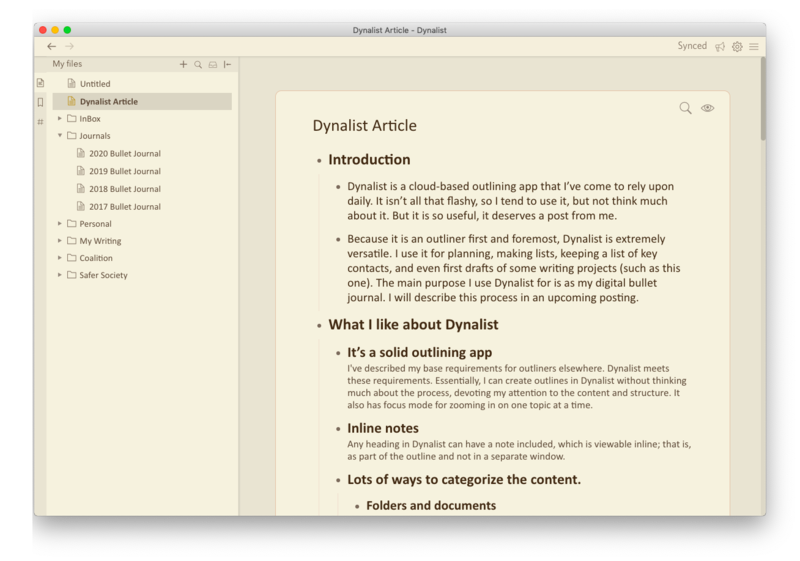 One feature available in OmniOutliner that might be a bit difficult for me to give up is multiple columns. I can definitely understand that. Columns are a great feature. In some ways (in my opinion) and outliner with columns is an entirely different breed of software from outliners without columns. 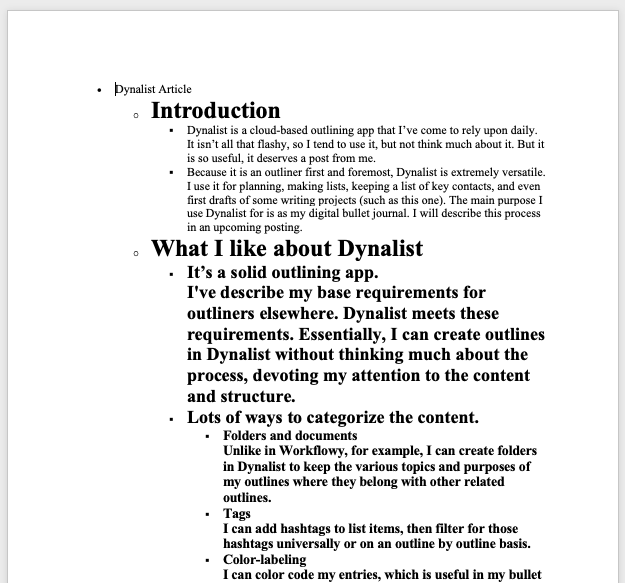 What I guess I mean by that is that for most of what I use Dynalist for, I have no need of columns.